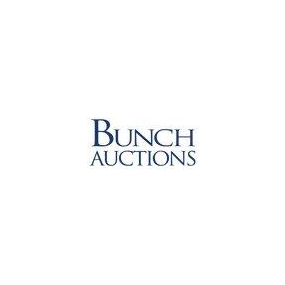 William H. Bunch, the owner of the auction house and appraisal business bearing his name, had a passion for auctioneering spanning thirty years. After growing up in Northern Delaware and attending the University of Delaware he found himself living in a charming Cecil County, MD farmhouse and attending local auctions looking for appropriate furnishings. Soon after, he began planning a future in the auction business. Becoming certified as an auctioneer by attending The Reisch College in Mason, Iowa was the beginning of his formal training as an auctioneer and appraiser. Bill has built a nationally respected antique & fine art estate auction business based in Chadds Ford, Pennsylvania. In addition to his professional staff, respected specialists assist him in the business today, drawing from, but not limited to, Boston, New York and Philadelphia. As a member of the National Auctioneers Association (NAA), the International Society of Appraisers (ISA) and graduate of The Certified Auctioneers Institute, Bill is infinitely qualified, well connected and respected nationally and internationally in this business. His membership in and generous support of numerous local, regional and national civic organizations attest to his commitment to the community at-large.